When the clock strikes twelve on December 31st, it means that a new year is about to begin! Help your child celebrate with this festive coloring page, which features confetti, balloons, and the message "Happy New Year." Make this New Year's Eve an educational one with this maths worksheet! Your child will draw hands on the clock to show the time when the new year begins. Let's work around the clock! 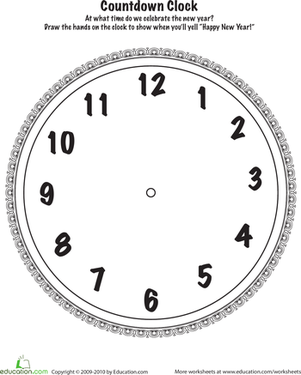 Familiarize your kindergartener with telling time by coloring in this fanciful clock. 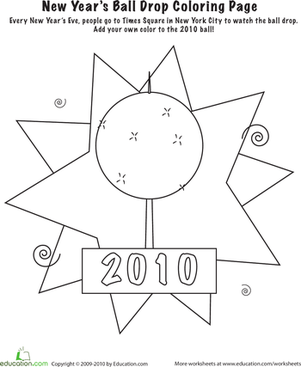 This New Year's ball coloring page lets your kindergartener flex his coloring skills! Make a story about the owners of this clock as you colour.